amour-fou-socks: Not too girlie for man! I converted this free pattern from Knitty from a cuff down to toe up. I'd made them for the home owner of our house sit in the Waikato but they came out too large. So my brother-in-law in Australia is going to try them for size. 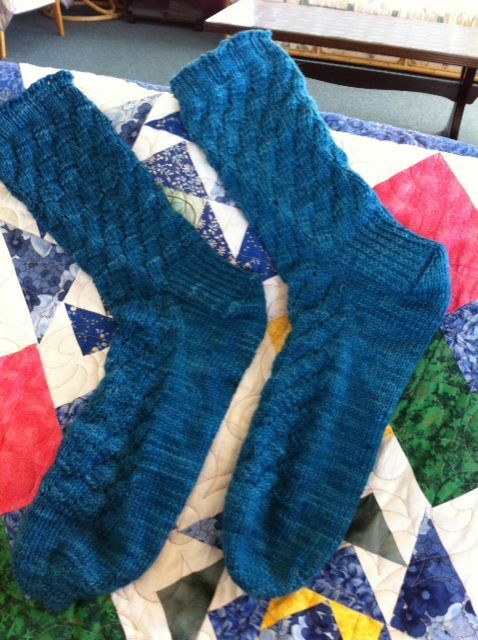 I made them in a yarn I've used before from The Loopy Ewe. The yarn has gone full circle. Australia-USA-NZ-Australia! I hope they fit him and that he likes them.